Light is a symbol in the world's religions for God, truth and wisdom. Anantanand Rambachan is a Trinidadian Hindu-American scholar with a specific focus on inter-religious dialogue. Diwali celebrates and affirms hope, and the triumph of goodness and justice over evil and injustice. These values define the meaning of Diwali. The theo-monistic experiences of mystics like Eckhart, Ruusbroec, Ramanuja, Aurobindo, and others can be explained only by positing a divine which is "both passive and active, non-dualistic and distinctive, impersonal and personal". Theo-Monistic Mysticism is a thoughtful and challenging study which seeks a middle path between two influential interpretations of mystical experiences. The constructivist interpreters, represented here by John Hick, admit that mystical experiences are different but argue that the differences are explicable by reference to the socio-religious framework which the particular mystic brings to her experience. Stoeber is critical of this school for its inability to account for the transmission of new religious knowledge and insight through mystical experience, since the information which the mystic receives is entirely dependent on the prior conceptual framework. In addition, the constructivist thesis cannot adequately account for mystic heresy or for the similarities in mystical experiences where there are no shared socio-religious factors. The essentialist school, represented by interpreters like Evelyn Underhill, W. T. Stace and Ninian Smart, see mystical experience as the same everywhere, but subject to a variety of socio-religious interpretations. Stoeber is critical o f the essentialist position for its disregard of vital differences between monistic experiences, which involve a loss of duality and exclude personal experience, and theistic experiences, which encounter the Real as dynamic and where "some sense of differentiating self-identity is maintained by the participants" (p.24). These important differences are illustrated by analysis of the writings of Meister Eckhart and Jan Van Ruusbroec. The study of these two mystics leads Stoeber to propose a third experiential possibility which he calls theo-monistic mysticism. He calls it a theo-monistic experience "because although it involves an impersonal monistic realization, it issues in a perspective that also reflects an active, creative, and personal Real" (p.35). Theo-monistic mysticism avoids the extremes of the constructivist and essentialist schools by positing that mystical experiences differ and that these differences cannot be explained only by socio-religious factors. The theo-monistic experiences of mystics like Eckhart, Ruusbroec, Ramanuja, Aurobindo, and others can be explained only by positing a divine which is "both passive and active, non-dualistic and distinctive, impersonal and personal". In this work, however, Stoeber does not argue only for the reality of the theo-monistic type experiences. Even more importantly, he proposes, in chapters 3 and 5, a theistic mystic typology which culminates in theo-monistic experiences but which authenticates the monistic experience and can account meaningfully for experiences of the paranormal, of nature and of the numinous. Monistic hierarchies, on the other hand, fail to fully authenticate theistic experiences and relegate them finally to the realm of the illusory. The text is really a comment on the limited nature of human language. Such language must by nature be diverse in its attempts to describe that which is One and finally indescribable. The map, according to Vivekananda, can create only curiosity for first-hand knowledge of the place and can communicate only a vague conception of its reality. Maps are in no way equivalent to the direct knowledge of the country, gathered by actually being there. In a thoughtful series of reflections on the future of Hindu-Christian Dialogue, Klaus Klostermaier observes that there are "few Hindus who are interested in (contemporary) Christian theology, and there are fewer still who have a desire to enter into dialogue with their Christian counterparts". Others have noted that, with few notable exceptions, the initiatives for dialogue in recent times have been from the Christian side. In an earlier study, I suggested, briefly, a few possible reasons for this lack of interest on the Hindu side. The memories of colonialism and its association with aggressive Christian missionary activity, misrepresentation of other religions, and the lack of genuine interest in the study and understanding of these traditions are not easily erased. There are still barriers of mistrust to overcome. 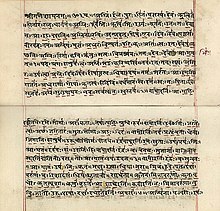 The famous Rgveda text, "One is the Truth, the sages speak of it differently" (1.64.46), is often employed to explain away doctrinal differences as merely semantic ones. The point of this text, as its context makes quite clear, is not really to dismiss the significance of the different ways in which we speak of the One or to see these ways as equally valid. The text is really a comment on the limited nature of human language. Such language must by nature be diverse in its attempts to describe that which is One and finally indescribable. The text, however, is widely cited in ways that seem to make interreligious dialogue redundant. Paradoxically, it would seem that where the Vedas are upheld as a valid means of knowledge, reason has a more positive role to play in clarifying, explaining and defending its propositions. Where the attempt is made, on the other hand, to supersede the necessity for faith in the scripture in the interest of being more rational, reason becomes almost insignificant. Unfortunately, our religious traditions are known more for what we stand against than what we stand for. …Let us celebrate Diwali, the festival of lights, with joy. Let each celebration, however be a reminder and renewal of our profound obligations to help bring the lights of prosperity, knowledge, health and peace to our communities, nations and our world. The word "Diwali" means an arrangement or a row of lights. Traditionally, Diwali is celebrated on the darkest night of the year when the necessity and the beauty of lights can be truly appreciated. Light is a symbol in the world's religions for God, truth and wisdom. For the Jains, Diwali is celebrated as the joyous day on which Mahavir, the great Jain teacher, attained the eternal joy of liberation or nirvana. It is an occasion for rejoicing and gratitude for a life spent in rigorous religious search, realization and teaching centered on non-violence. For the Sikhs, Diwali is a "day of freedom," when the Mughal Emperor, Jehangir, freed the sixth Sikh Guru (teacher), Hargobind, from prison. Guru Hargobind refused to accept his freedom unless the emperor released detained Hindu leaders. Guru Hargobind is celebrated as seeing his own religious freedom as inseparable from the freedom of others. Even for the Hindu community, there is a confluence of many traditions connected with Diwali. Some celebrate Diwali as ushering the New Year and others as the triumph of Krishna over the evil, Narakasura. Hindus have a deep religious responsibility to be politically engaged. At the heart of this engagement must be a concern for the well-being of all. We ought to ensure that Hindus are known, in whatever part of the world we reside, Asia, Europe, Africa, North America and the Caribbean, for our commitment to overcoming suffering rooted in poverty, illiteracy, disease and violence. This commitment must become synonymous with what it means to be Hindu in our self-understanding and in the eyes of others. Politics, according to Mahatma Gandhi, is concerned with the well-being of human communities and anything concerned with human well-being must concern the person of religious commitment. Gandhi was deeply inspired by the life of Rama and especially by the nature of the community established after Rama's return from exile. He understood his life's purpose as working with others to make this community a reality. Unfortunately, our religious traditions are known more for what we stand against than what we stand for. Religious identity has become negative rather than positive. We need to ensure that the positive dimension of our commitment is more prominent than the negative. Let us celebrate Diwali, the festival of lights, with joy. Let each celebration, however be a reminder and renewal of our profound obligations to help bring the lights of prosperity, knowledge, health and peace to our communities, nations and our world. This page was last edited on 21 October 2014, at 20:15.